Flat screen TV's are getting pricier with the technology that's involved nowadays. Also, the bigger the size is - the pricier the TV will be. One of the brilliant ideas that, most likely came to everyone's mind at least at some point in their life, is getting a quality projector that will replace a TV. Most of the people even give the idea a try, only to disappoint themselves with the quality of the projector. The most common mistake is not getting a proper projector that is suitable to replace a TV. Not any projector will do the job, and if you really want to replace a TV, this article is perfect for you. We've spent hours researching different projectors, reviewing them and writing this post - so that your brilliant idea can easily be a successful one! The Best Projector TV In The Market That Money Can Buy! Since you know exactly the intended use of your next projector, you've made our job a little bit easier. 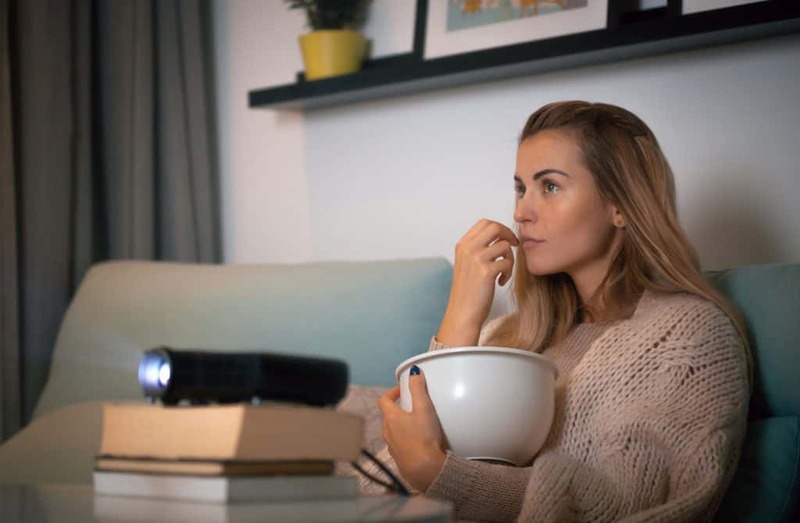 We've found the top 4 projectors that offer a quality image and are equipped with features and connectivity that is able to replace your TV so you can watch your favorite Netflix shows and create a perfect home theater. Turning your dream into reality is very possible with Epson Home Cinema 4010 projector because it's made for DIY home theaters and watching movies & shows on a projection. Even though it's a projector that's a bit on a pricier side, it's specially designed to bring a 4K watching experience to your home and replace your TV. 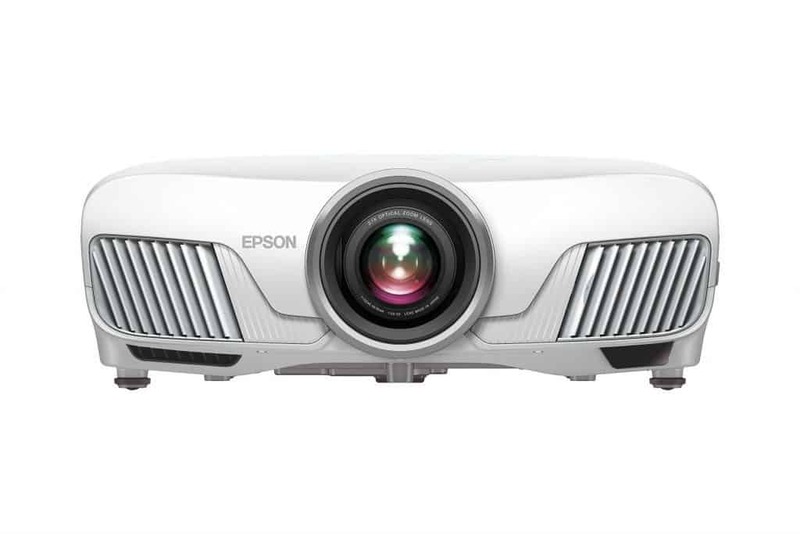 With the help of dedicated hardware, Epson Home Cinema 4010 projector utilizes a 4K image which enhances the resolution, offers HDR, and serves as a great image processor. Such combination offers everything you'd need from a home projector in a hope to replace your TV. However, gaming using this projector might not offer full 4K experience, yet rather 2K experience due to the 30 Hz refresh rate limit. On the other hand, watching movies in 4K is really impressive and once you go with this projector, you will probably never want to go back to your TV - no matter how good it was. Epson Home Cinema 4010 projector is equipped with a lot of dedicated hardware that works well in combination to produce an immersive image quality. True 3-chip projector design ensures that the RBG color signal is displayed for every frame, which results in a great color gamut. You'll never have to close your curtains to experience a better color quality. 4K pixel shift processor is made to control 3 individual LED chips which increase the ability to process the pixelated information. 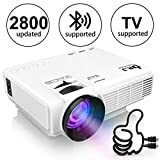 It might sound complicated, but once you lay your eyes on the projection of this projector - you'll know exactly why is it one of the best choices you can get. And if the price is not a problem, this might be the right choice to go for. No matter what device you are using to watch your favorite shows and movies, but you'll be able to connect it with this projector. Epson Home Cinema 40010 projector features plenty of HDMI and USB ports, mini USB, USB type A, D-sub 15-pin port, and many others. You could even connect your headphones to 3.5mm port, and a LAN cable. If you were about to purchase a TV, you wouldn't go out and buy the cheapest one, since the quality might not be satisfying and suitable for your needs, right? The same thing applies to projectors, especially if you're going to replace a TV with one. It should be considered as an investment that will pay off in the long run, yet it's up to you to choose the one that will leave you with endless hours of fun. And as always, we're here to help, so let's have a look at some of the best features of this projector. 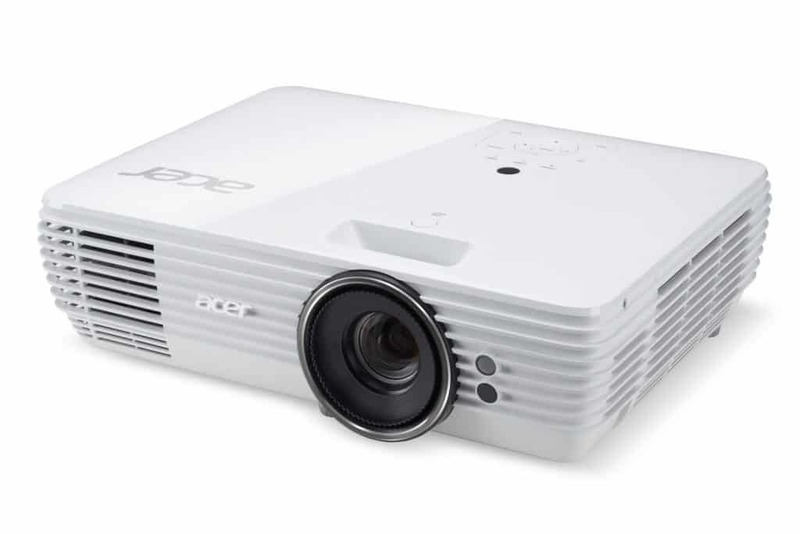 Acer H7850 projector offers ultra high definition 4K resolution that brings the Ultra HD cinematic experience and 8.3 megapixels on-screen display. With that being said, we've never had to deal with pixels yet a bright and sharp image no matter the source. As Acer said it, the image is that sharp, it will make your eyes bleed! With the brightness of 3,000 lumens, movie projections are crystal clear that you will never have to go to a cinema again. What we really liked is that the image quality isn't only very satisfying, but it's the colors that make the image come to life. The HDR compatibility feature adjusts the colors well to brighter scenes so that every detail is visible and nothing is left out. For example, what we found really impressive is that the dark scenes, a shadow, for example, blacks are preserved and details are enhanced. If you're a fan of sports like I am, you'll enjoy watching matches with a cinema-screen experience and you'll especially enjoy the AcuMotion technology. It's a technology that reduces motion and generates intermediate frames which are inserted in between the existing ones, creating a smooth watching experience. We've watched a hockey match and you could actually see a puck traveling at such speed. If you are a bit on a budget and can't spend a lot of money on the projector, yet still require a projector that will replace your TV - BenQ HT2050A is the best projector for the money you can ever get. Even though the image is very clear, bright, and works well with any type of background- you could also enjoy it in a very light room. It also features a 3D projection which can be activated and is suitable for 3D sources. Therefore, we really like the ability to have a 2-in-1 projector that turns your home theater into a 3D fun with a press of a button. We've also liked the image which is very clear, has cinematic colors and the correct color accuracy. In our opinion, at some moments, this projector offered a better image than a cinema projector. What's great about BenQ HT2050A projector is that it is very responsive, and it eliminates the latency & reduces the input lag to a minimum. This results in a very smooth image projection that is suitable for gaming. 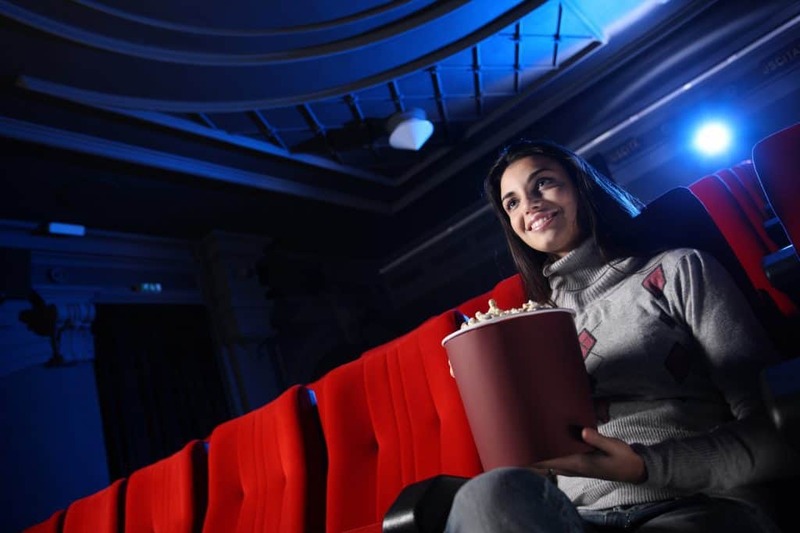 If you decide to watch a 3D movie, you can be assured that the image responsiveness will be much better than any regular TV you've previously used. If you're living in a crowded place and you don't have a lot of space, yet you have a perfect surface to project an image to - you'll love the short throw function that BenQ featured. It's a function that allows people still get a large screen projected without having to distant the projector far away from the surface you're displaying to. We were able to get a 100 inches big screen size by placing the projector only 8 feet away. This allows almost everyone to bring a cinema-sized screen into any room, no matter how small or big it is. All you need to have is a clear surface to project the image to. 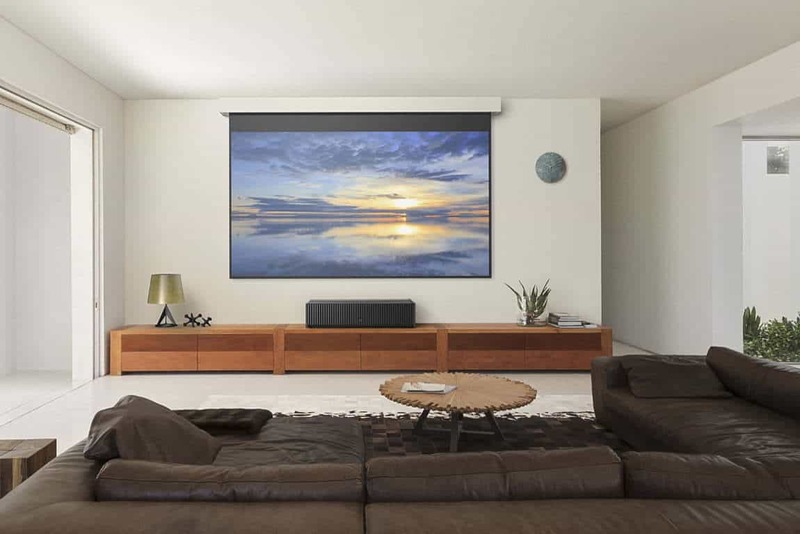 Projection size - From 30" to 300"
ViewSonic PX747-4K projector is a very popular option because of the ability to project the image as good during the day, as it can during the night. It's a day and night projector that will bring a large cinema-like screen in any room with a screen up to 300 inches. We've tested this projector and what we've realized is that it comes with the ability to decode HDR video signals which brings only the best details in video playback. That's combined and goes well with brighter and bolder colors, richer contrast, and even more details. Watching 4K videos on YouTube really gave a different viewing experience than we've ever experienced on any TV. Other than a very long lifespan, the lightbulb of ViewSonic PX747-4K projector features a 3,500 Lumen brightness that offers the right amount of contrast ratio for the projection to be suitable even in a light environment. You won't have to invest in a better pair of a window blinders, yet get used to a brilliant image no matter the time of a day. We've gone really far and tested it in the brightest day with no curtains and the image was still really bright, and most important - it was very enjoyable. However, we find the image colors to be the best in a moderate to dark environment. What's really interesting about this projector is that it features an advanced technology called DLP 4K that doesn't only provide an HD resolution, but it's offering a chip that can project resolutions up to 3840 x 2160 pixels in 4K. This means that this projector offers up to 8.3 million pixels in 4K, making this projector a UHD resolution projector. Unfortunately, this projector doesn't feature a 3D function, but the 4K image in two dimensions is everything you will need for a great movie or to catch up on your favorite Netflix show. 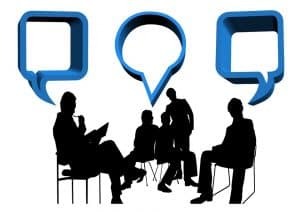 To avoid making a mistake I've once made a long time ago, you should inform yourself and learn a bit about the projectors and the differences between a regular office projector and a projector TV. There are a few important differences, and if you get them right - there's no reason why you shouldn't enjoy a full immersive 4K image, maybe even in 3 dimensions on your wall. If that doesn't give you a better experience than a cinema, it's probably very close to it. To get the cinema-like watching experience - the experience you'll enjoy for hours, it's important to get the screen resolution right. Even though you should pay attention to the screen size the projector can offer, there's much more to it. You should pay attention to the resolution as you can easily judge the quality of the image and the sharpness it will have by a single look at the projected resolution. Finding a projector that features 4K HD or UHD resolution is the best way to go when it comes to projector TV, and that's something you should aim for. Everything less than that might not offer an image that's satisfying enough to watch. 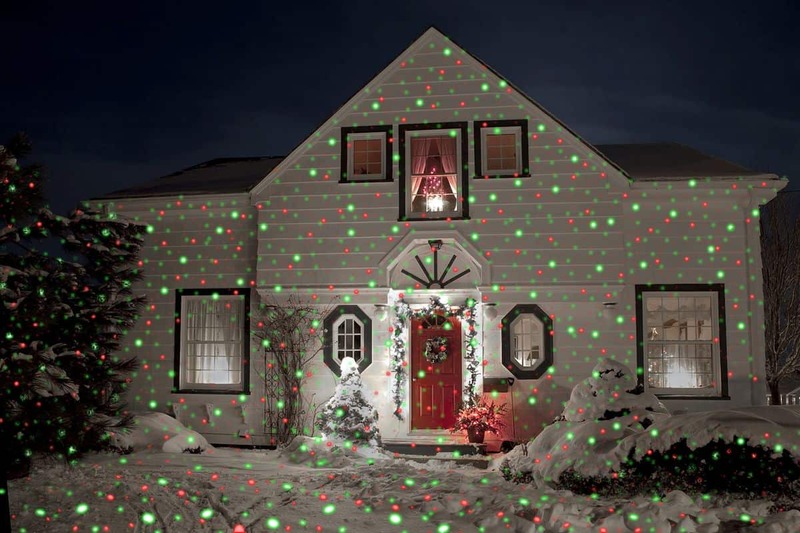 Brightness isn't just going to allow you to have "movie night sessions" during the day, even though the brightness which is expressed in lumens can determine the environment in which your projector can project the image. Instead, brightness has much more to it. It is directly connected with the quality of the color that your projector features. Also, it's connected with the resolution and the ability to project as many pixels as possible, in vivid and bold color. However, projector brightness doesn't ensure a better quality of the image. Instead, a projector TV with about 2,000 lumens can have a better visibility and color display than a regular projector with the brightness of 3,500 lumens. Therefore, you shouldn't take brightness as the main factor when considering a projector, yet combine it with other factors and determine its quality. Since you're looking for a projector with the purpose of creating a home theater, it's important to get a projector with a lot of connectivity options. You'll notice that most of the projector TV's, including the ones listed in this article, comes with plenty of ports. Therefore, you will be prepared to play the movie in any format from any device at any moment, without slowing down your fun. If the main device you use is a laptop, that doesn't mean you won't have friends or family over who will bring you a movie or TV show on their devices. Versatility is important, and these projectors are full of connectivity ports to suit everyone's needs. If you don't have a lot of experience with projector tv's, and you aren't really sure if it's the right choice for you and if you need help with some technicalities, these frequently asked questions and answer will probably help you out and get you started. Q: How to set up projector TV? A: Setting up a projector TV is very simple, and if you've previously had experience with any type of a projector, you'll notice there is no much difference. Setting up a projector TV is fairly simple and most of them are ready to be used straight out of the box. All you have to do is set it at the desired position, find a suitable power outlet, connect the desired device, focus the image and set the keystone for a brilliant image. Even the user's manual will come with similar yet simple instructions. Q: Can a projector TV be installed onto a wall? A: Yes, definitely. Projector TV is just like any other projector and it can be installed onto a wall or on a ceiling too. No matter where you install it, keep in mind that installing it on a wall or as high as possible will eliminate any disturbance to the image by people who pass in front of the projector. Q: What's necessary along with a projector TV to create a home theatre? A: Along with a quality projector TV, we'd recommend you to get a quality cloth that will serve as a screen you will project the image to. This can improve the image of the quality, rather than projecting the high-quality image on a wall. Also, a great addition could be stereo surround speakers for the full cinema-like experience. Q: Why projector TV instead of a flat-screen TV? A: With a projector TV, you get to choose the size of your screen, you have more freedom to adjust the image settings, can easily move it wherever you like, and the most important - you can have an image as big as your wall yet without spotting a single pixel. Q: How to connect projector TV to your desired device? A: Most projector TV's come with very versatile connectivity and if you have a look at the back of any projector TV, you'll notice that they all have at least 5 or 6 different ports. Most common ways to connect your desired device are probably HDMI, VGA/DMI, and USB. Q: Projector VS flat-screen for a small apartment? A: Even though you live in a small apartment where it's probably crowded and you don't think you can fit a projector TV in there and still get a decent image size - it's possible to do it. 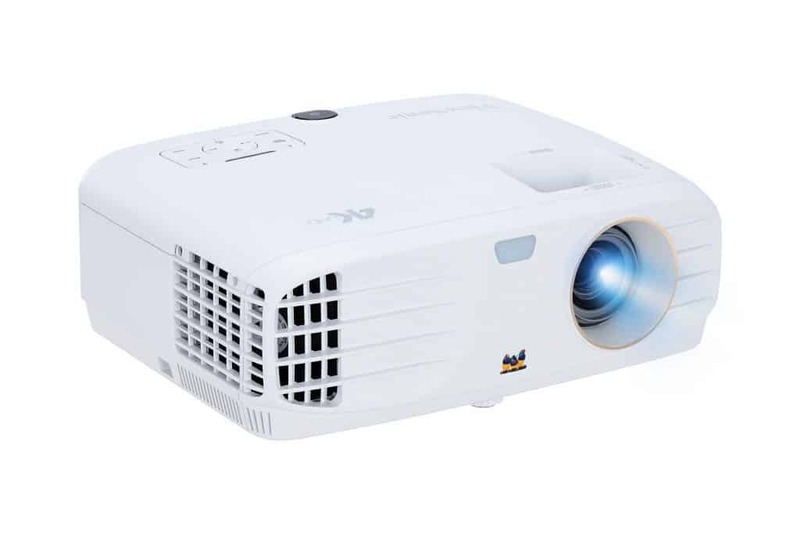 Some projectors such as BenQ HT2050A projector are equipped with a shorter throw function which allows you to place the projector closer to the wall and still get a large screen with a high-quality image. Replacing a TV with a projector TV might seem like a scary decision at first, especially if you don't have a lot of experience with projectors - but it's a decision that's totally worth the money and the change itself. If you choose a quality projector TV and create a great space in your home for it - you can easily create a cinematic experience which will make sure you never go to a cinema ever again. Unless you are eager to check out a new movie and can't wait for it to become released. These 4 projectors are definitely worth the purchase, and even if some of them are on a pricier side, they're really worth the investment. Which - TV vs Projector: Which is Best?